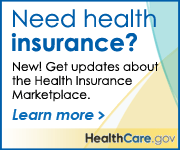 You can enroll in an affordable health plan that works for you. For more information go to HealthCare.gov or click the image below. AccelHealth does not and shall not discriminate on the basis of race, color, religion (creed), gender, gender expression, age, national origin (ancestry), disability, marital status, sexual orientation, or military status, in any of its activities or operations.